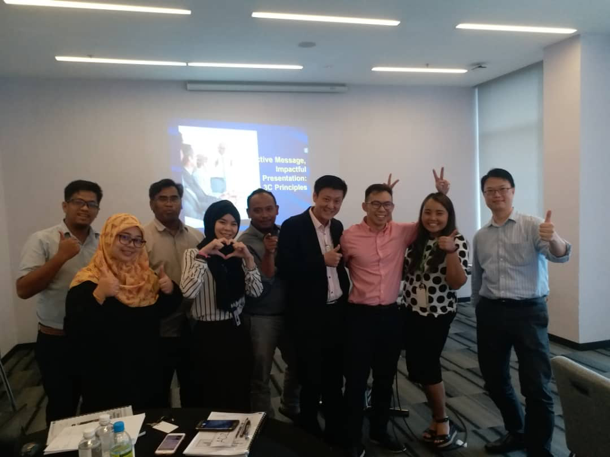 14th May, 2018: In this training, Applied Tech People was able to guide the Gamuda participants on the Effective Message, Impactful Presentation: The 3C Principle. Mr Bryan has taught the team from Gamuda how to present information clearly and effectively to get their message across. They have learned the right techniques, presentation framework and intensity of practice with feedback. One will be able to create quick wins and effectively deliver an effective and impactful presentation. This program was especially useful for managers who have experience in presentation. 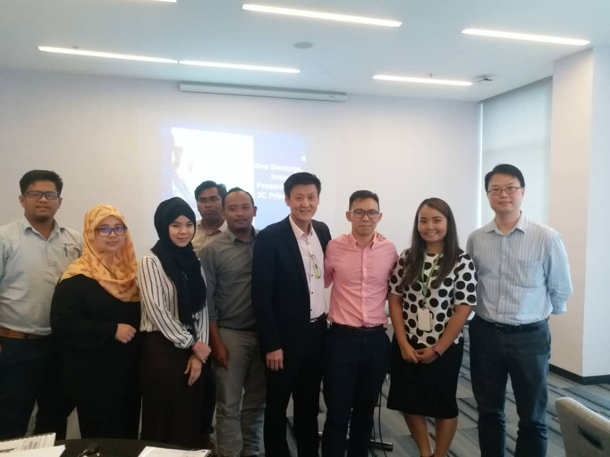 In this program, one do not need to re-work the basic presentation but to learn through (i) Tapping into the natural strengths of every individual; (ii) Offer practical tips to overcome stage freight; (iii) 3 systematic presentation framework, (iv) Leverage on Powerpoint features and functions. They now understood how to divide information, leverage on animation and plant trigger words to take charge of the presentation.